Theatre, built 1927-1929 by Vicente Traver for the "Exposicíon Ibero-Americana" world exposition. Opened 30 March 1929. 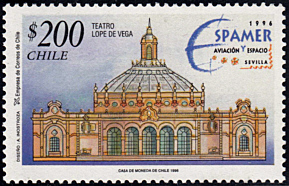 1936 renamed in honour of the Spanish playwright, Lope de Vega (1562-1635). 750 seats. 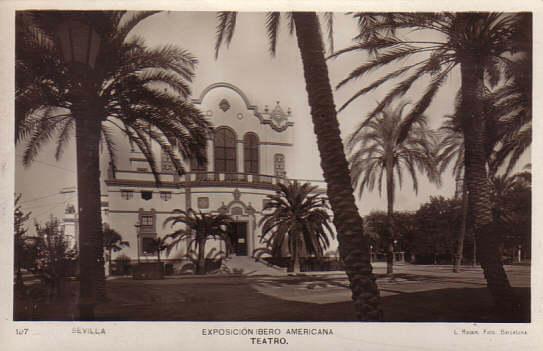 Front Text: "Sevilla - Exposición Ibero Americana - Teatro"